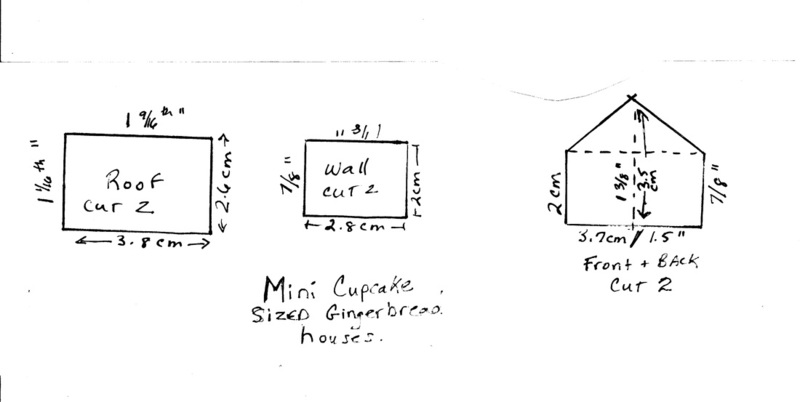 Here are the measurements for the miniature gingerbread house. I suggest you draw them onto some cardboard or cardstock to use them to cut out your dough. You don't have to use these exact measurements.